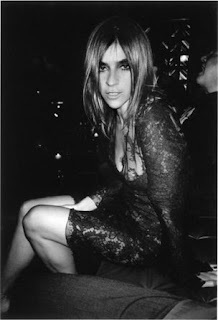 FSB Morning Juice: Carine Roitfeld, Valentino and How To Be A Social Diva | Fashion. Style. Beauty. | Life is short. Live well. It’s all fashion and style all the time today. Between television and film, it should prove to be quite the red letter day when it comes to style media! Carine Roitfeld on CNN:Revealed Today! As we’ve been practically hyperventilating about this, we can finally breathe because today is the day! Carine Roitfeld, fashion icon and editor-in-chief of French Vogue, will be featured on CNN: Revealed. You can watch it on CNN tonight or you can hit this link and watch all/most of the episode via web. You know, like we just did. Valentino Movie Opens: Today is also the release of the documentary, Valentino: The Last Emperor. We already have our ticket for tonight’s feature here in New York but the movie will be opening in Chicago, San Francisco and Los Angeles shortly. For a schedule, click here. Be More Social, Divas: Not dreaming life as fabulously as you think you should? Peg Samuel, the founder of Social Diva and maven of all things fabulous has written a book called How to Be a Social Diva: An Essential Guide For The Girl About Town. She’ll be on E! News talking about it tonight so set your DVRs for 7:00 or 11 p.m ET. Then go to to your computer post-haste and buy the book.